Drop approximately 3 1/2". Post stud back. Drop Approximately 0.25". Post stud back earrings. Rhodiumized, Green Glass Crystal, Metal, Teardrop Dangle Earring Set. 1 1/4" x 2 1/4". Burnished Gold & Hematite Tone Fish Hook Heart Dangle Earring Set. 1" X 2". 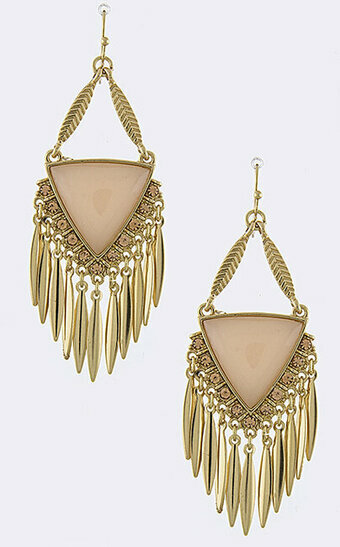 Gold Tone & Rhodiumized Fish Hook Filigree Round Tassel Dangle Earring Set. 1" X 3 3/4". 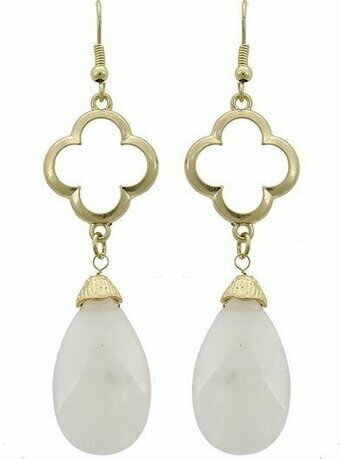 Gold Tone, Beige Glass Crystal, Dangle Post Earring Set. 2 1/2". Gold Tone Black Acrylic Post Button Earring Set. Diameter 1/2". Gold Tone, Black Glass Post Square Button Earring Set. Drop length 1/2". Gold Tone, Blue Glass Post Round Button Earrings. 1/2" diameter. Gold Tone, Brown & Mint Wood Post Dangle Earring Set. 1" X 3 3/4". Gold Tone, Brown & Teal Acrylic, Fish Hook Chandelier Earring Set. 7/8" X 2 3/4". Gold Tone, Clear Glass Post Square Button Earring Set. Drop length 1/2". Gold Tone, Gold Druzy Acrylic, Fish Hook, Teardrop Dangle Earring Set. Drop length 1 3/4". Gold Tone Metal Fish Hook Circle Dangle Earring Set. 1 5/8" X 2 1/2". Gold Tone, Multi Color Glitter Acrylic, Post, Button Earring Set. Drop length 1/2". Gold Tone, Natural & Brown Wood Post Dangle Earring Set. 1" X 3 3/4". Gold Tone, Red Acrylic, Fish Hook Chandelier Earring Set. 7/8" X 2 3/4". Gold Tone, Red Glass Post Round Button Earrings. 1/2" diameter. Burnished Gold Tone, Turquoise Stone, Fish Hook, Chandelier Earring Set. 7/8" X 2". Drop approximately 1 1/4". Post stud back. 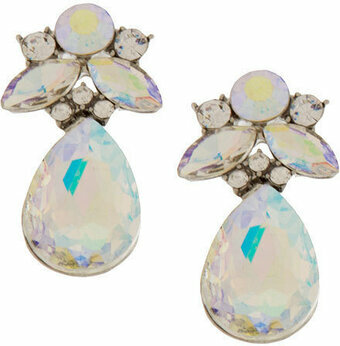 Gold Tone, Grey Opal Acrylic, Post Stud Teardrop Dangle Earring Set. Drop Length 1 3/4". Nickel free silver plated hoop earrings. 30mm round each. Silver tone metal. 1 pair per package. These open hoop post earrings feature 2 staggered rows of round faceted black rhinestones. 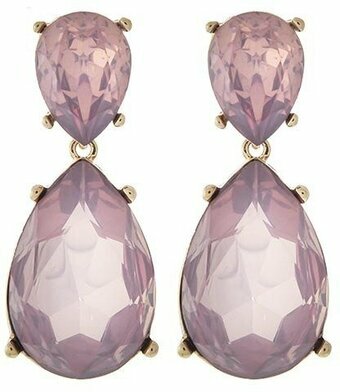 1 pair of earrings per package. Sterling silver plated lever back earrings. 4 pieces per package. Silver Tone, Light Blue Glitter Epoxy, Fish Hook, Sea Life Starfsh Dangle Earring Set. 3/4" X 1 1/4".